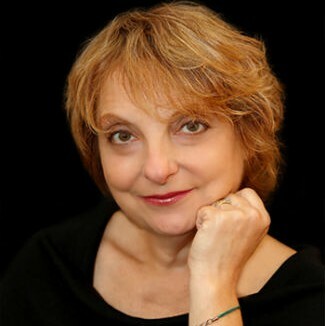 Barb D’Amato, author of Hard Bargain & Help Me Please! Laurie Atkins finds a body in her front yard, but then the body disappears and no one seems willing to believe her. Then the body turns up in her neighbor’s driveway, but no one can identify it. This is a mystery with enough twists and turns to keep everyone guessing. There are secrets piled on top of secrets. There are multiple characters with the same initials. Nothing makes sense until the very end of the story.Jennie Spallone has written an intriguing and mystifying plot involving a lot of very different characters, many of whom are lying and withholding information. The plot moves between Wisconsin and Chicago, and it is told from many different perspectives, with jumps forward and backwards in time. The multiple perspectives do provide the reader with a lot of information, which is helpful, but occasionally the point of view gets broken and multiple perspectives operate in the same scene. However, the plot is engaging and, while I would have liked to have seen more depth to the characters, overall it hangs together well and I was eager to discover how it would all work out. It is also refreshing to have a mystery novel with very little violence. And it is fun to have a real estate agent solving the mystery. Mystery fans seeking a plot with plenty of twists and turns, along with a slew of secrets, will enjoy unraveling the story behind the mystery man’s corpse. Originally posted at Long and Short Reviews. Beth is a rookie paramedic riding with Angie who does drugs while on duty, but since she’s a veteran, Beth knows no one will believe her. When Angie hits a young pregnant woman with the ambulance on a deserted street, Beth finds herself delivering the baby alone. She can’t save the mother, so she kidnaps the baby and turns it over to a friend of hers who is a foster mother. Her fire captain doesn’t think women have a place in the firehouse. So when he suspects her involvement in the kidnapping, he confronts her. He has a heart attack, and Beth saves his life. 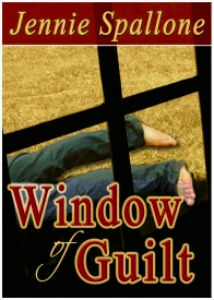 Not long after he dies and Angie’s journal is found and passed on to an Internal Affairs Detective. Eventually Beth gets caught. A high-power lawyer defends her, finishing the story with page-turning suspense.This story gives the reader a rare glimpse into the daily routine of a paramedic, especially in an all-male fire station. It shows the stresses involved and how bad choices can affect everything we do.While you might not like what Beth did, you will like Beth and her struggles to do the right things. I hope the author will write more books with Beth .If you like a book that will keep you guessing with plenty of suspense, you will love this book. I highly recommend it. 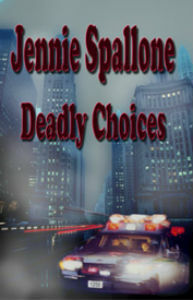 Deadly Choices is a page-turning thriller about a rookie female paramedic (Beth) who finds herself kidnapping a motherless child while on duty. When her overweight fire captain suspects her involvement in the kidnapping, he confronts her. As it turns out, the fire captain has a heart attack and Beth saves his life. Her 15 minutes of being the fire station hero comes to an abrupt end shortly after her captain dies and his journal surfaces into the hands of an internal affairs detective. Eventually the mysterious trail leads to Beth and she gets caught. A high-power lawyer defends her and the story ends with a page-turning courtroom drama. Deadly Choices provides a rare look into the day to day activities of a paramedic, which is something new to me at least. The story also forces you to feel compassionate about female paramedics in an all-male fire station. Think GI Jane meets a typical Grisham big city lawyer. The plot is suitable for Lifetime television. It’s a good and easy read that is pleasantly entertaining.